A fast-absorbing oil that nourishes even the coarsest hair. Start with one to two pumps, work through damp or dry sectioned hair. Repeat as needed. It's powered by a powerhouse combo of our patented Healthy Hair Molecule (OPFMA) and a nourishing 5-oil blend that mimics the oils found in naturally healthy hair. 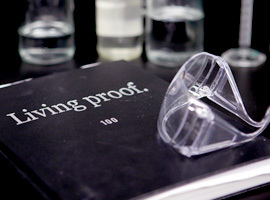 Together they weightlessly block humidity and condition dry, coarse hair. The result: your hair looks and feels smooth, shiny, frizz-free and more manageable without the greasy feeling you may get from other oils. Does Nourishing Oil work on all hair types? No Frizz Nourishing Oil was designed to help soften and tame the full spectrum of coarse hair textures from fine, coarse to thick, coarse to curly, coarse. If using on fine, coarse hair, use sparingly and apply mainly to the ends of hair. Thick, coarse and curly, coarse hair may require more product for optimal results. How do I use Nourishing Oil? No Frizz Nourishing Oil can be applied to damp or dry hair. Start with one to two pumps, work through damp or dry sectioned hair. Repeat as needed. 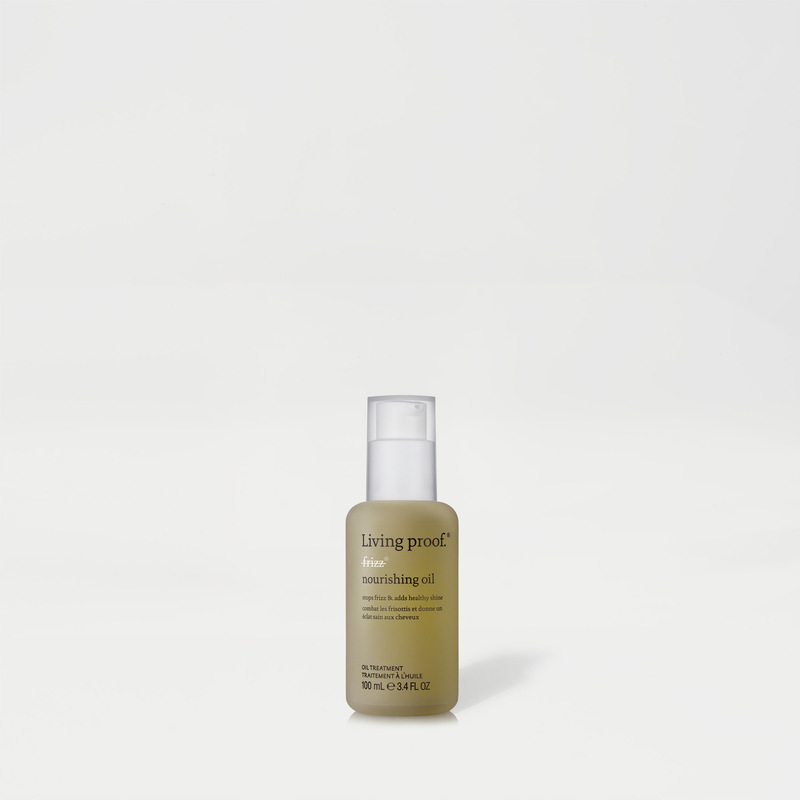 Nourishing Oil is lightweight and fast absorbing, so use it throughout the day to replenish dry hair and tame flyaways. Can I use Nourishing Oil on dry hair? Yes, No Frizz Nourishing Oil works great on dry hair to tame frizz and smooth hair, as well as to treat dryness, particularly on the ends of hair. It is also great for smoothing and grouping curls and enhancing natural texture. Can I use Nourishing Oil on wet hair? No Frizz Nourishing Oil works best when applied to dry hair as it is specially formulated to be lightweight, fast absorbing and layerable so that it can replenish dry, coarse strands and enhance natural texture. However, it can be layered on wet hair on top of your usual stylers or worn alone to help tame frizz, but hair types that need extra conditioning should use Nourishing Oil regularly with No Frizz or Curl Leave-in Conditioner. What is the difference between use on wet vs use on dry hair? 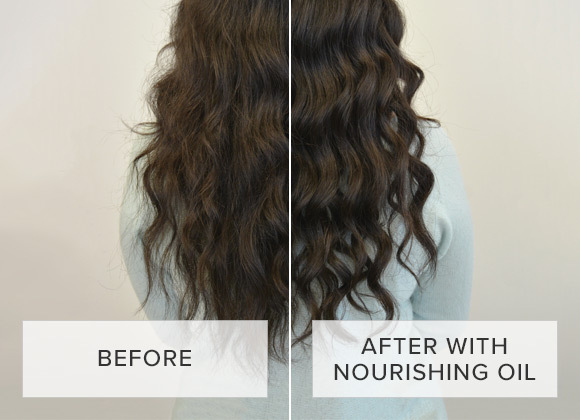 No Frizz Nourishing Oil works best on dry hair, where you’ll see the best frizz-fighting and taming results. If used on wet hair, No Frizz Nourishing Oil may provide some smoothing and taming benefits, but you may also need to layer the product on dry hair for optimum results. How is this different from No Frizz Nourishing Cream? No Frizz Nourishing Cream works best for medium hair types and is used on wet hair and followed with heat. Nourishing Oil works best for coarser hair types and is light and layerable enough to be used on both wet and dry hair without heat. How is this different from No Frizz Leave-in Conditioner? No Frizz Leave-in Conditioner is applied to damp hair to provide drier hair types an extra boost of conditioning and frizz control. No Frizz Nourishing Oil works best on dry hair to provide nourishment and manageability to coarser hair types and helps provide smoothness and frizz-control on day 2 hair and beyond. 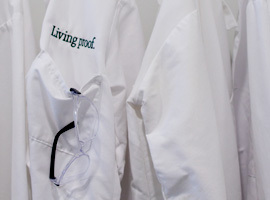 How does a leave-in work differently than an oil? 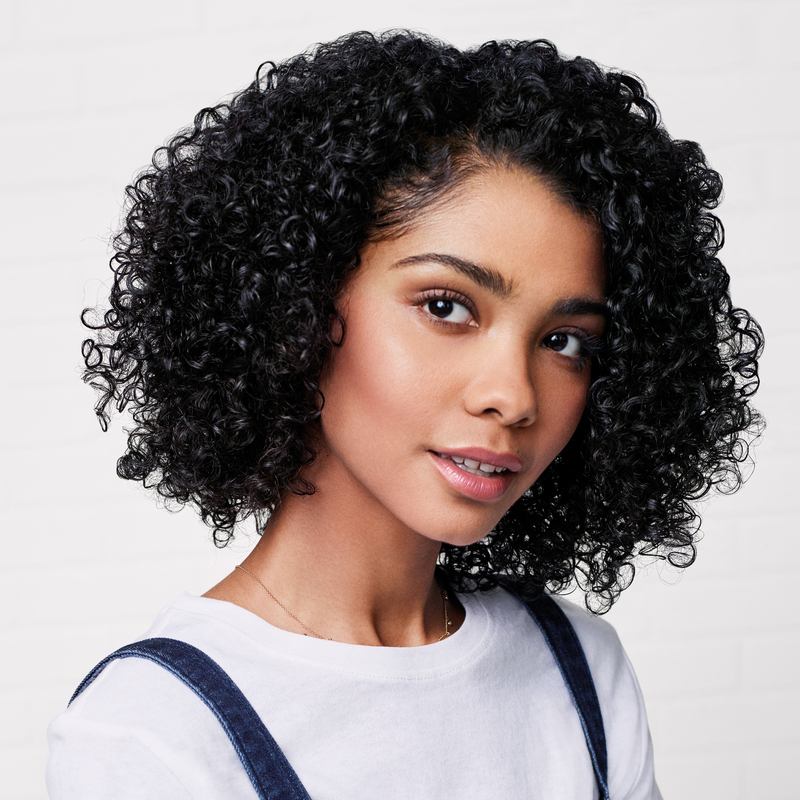 Leave-in conditioners are formulated with more substantive conditioning and fatty agents that provide benefits like anti-static and flyaway control in addition to smoothing and softening of the hair strand. 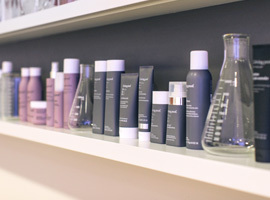 Typically, leave-in conditioners are used mid-shaft to ends where hair feels most dry and in need of added conditioning. No Frizz Nourishing Oil was formulated specifically for smoothing, taming, and hydrating hair that lacks sufficient natural oils, and it can be used sparingly near the root area if necessary. How often should I use No Frizz Nourishing Oil? No FrizzNourishing Oil can be used daily and as often as needed to tame and manage frizz and provide nourishment to dry, coarse hair. Can I use No Frizz Nourishing Oil with Dry Shampoo? 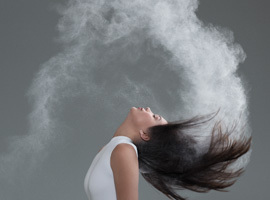 Dry Shampoo was formulated to absorb sebum, which is different than the No Frizz Nourishing Oil formula. Nourishing Oil should primarily be used from mid-strands to ends where is in need of the most nourishment. Dry Shampoo should be focused at the roots where hair is already most oily. Is No Frizz Nourishing Oil good for my scalp? 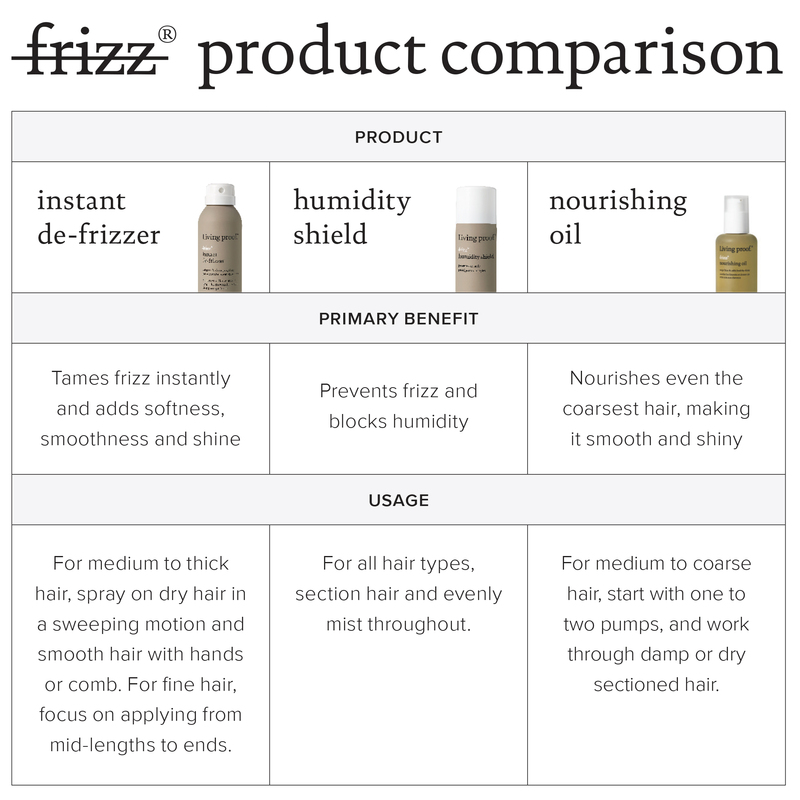 No Frizz Nourishing Oil should be used as directed and applied to the hair. It can be used to help moisturize and smooth the scalp however, women suffering from very dry, itchy scalps should consult with a doctor for treatment. Please consult our ingredient page for questions regarding allergens.